Earlier this month, China announced its decision to open four new air routes, which would pass over the straight that separates the country from Taiwan, crossing some existing Taiwanese routes. Following Taiwanese concerns for the safety of this overlap, Beijing has now accepted to discuss the matter further with officials from Taipei. China has invited Taiwan for further communications on technical issues related to its planned opening of four fight routes west of the median line of the Taiwan Strait, but it did not seem inclined to adjust the routes that have angered Taiwan. Ma Xiaoguang (馬曉光), spokesman for the Taiwan Affairs Office under China's State Council, said Wednesday at a news conference that China extended an invitation for more talks to Taiwan through two civil aviation organizations on Jan. 16. He was referring to the Taipei Airlines Association (台北市航空運輸商業同業公會) and the China Air Transport Association (中國航空運輸協會海峽兩岸航空運輸交流委員會), which handle aviation contacts between the two countries. Such communications will help Taiwan "objectively and pragmatically understand in full the situation surrounding China's opening of the new routes," Ma said, without hinting at any possibility that the routes could be shifted further West, as Taiwan hopes. Earlier in the month, Beijing unilaterally announced that it planned to open a new north-south route that hugs the median line of the Taiwan Strait -- called M503 -- and three east-west routes -- W121, W122 and W123 -- that connect with it, sparking strong opposition in Taiwan. Taiwan has argued that the new flight routes, which China intends to implement beginning on March 5, will create flight risks under abnormal situations such as bad weather conditions. The Civil Aeronautics Administration (CAA) said the M503 route was too close to the Taipei Flight Information Region, a key air transportation hub in the West Pacific, while routes W121, W122 and W123 could affect flights between Taiwan and its outlying Kinmen and Matsu islands. Ma argued last weekend, however, that the opening of the M503 route was a response to the increasing number of flights on the western side of the Taiwan Strait and an attempt at easing flight congestion. 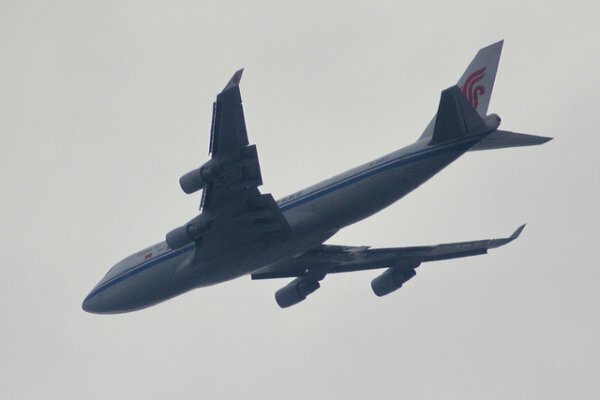 China also has prepared adequate safety measures for the use of the M503 route to ensure flight safety, Ma contended, arguing that the new route would not affect the operations of flight routes in neighboring airspace. Chinese civil aviation officials discussed the planned flight routes with their Taiwanese counterparts twice in December, Ma said, and officials on the two sides of the Taiwan Strait will soon hold more discussions on the matter.